It was a rather cold, very cold night, and I had to warm up before I literally froze. It's so cold in Korea right now! 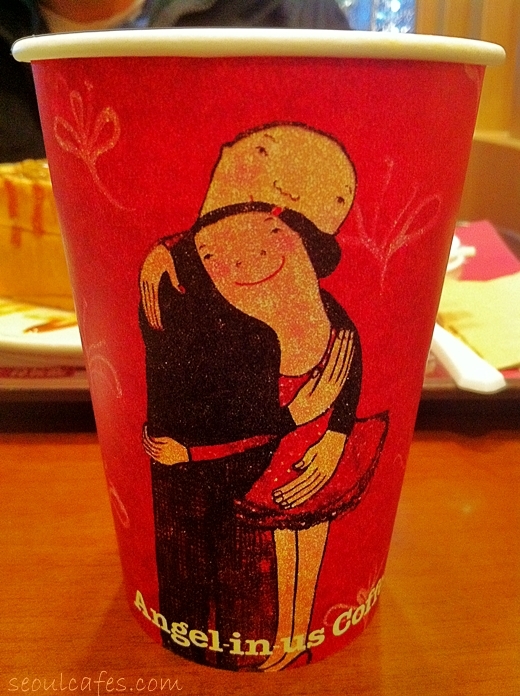 So I dragged my hubby to the Angel coffee chain in Gongdeok (Lotte Hotel building). My hubs cringed, he knew how much I hated that chain - but I went in anyway. I put my ego away and gave in. We got an Americano and I was feeling brave and adventurous and forgiving, so I went for the "caramel bread". To sum it, I was happy. 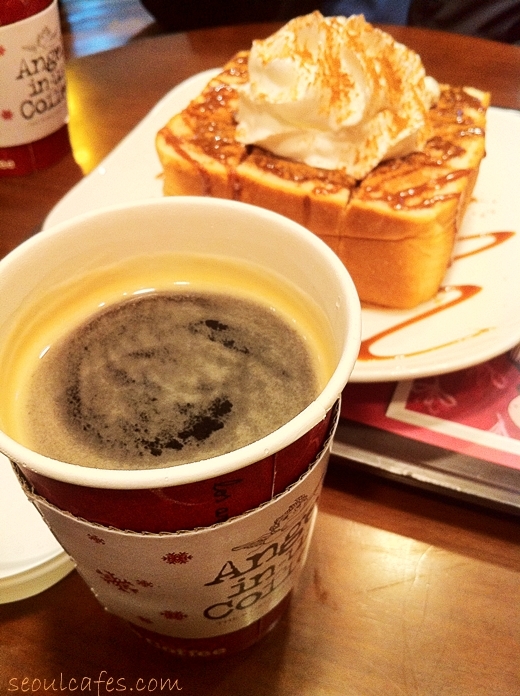 I was happy to have hot coffee and a pretty decent "cafe grub". It was pretty perfect. And I was warm and getting cozy. I can't say much about the coffee - it still is stale and watery to me. 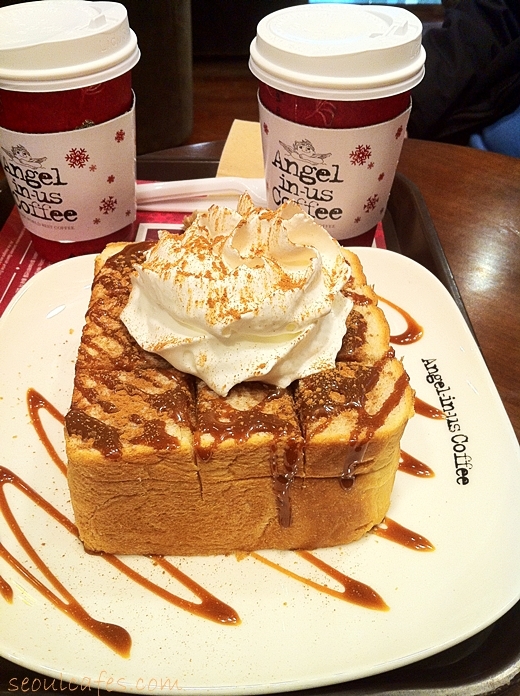 The caramel bread was pretty good though - it's 3000won with a purchase of a drink. 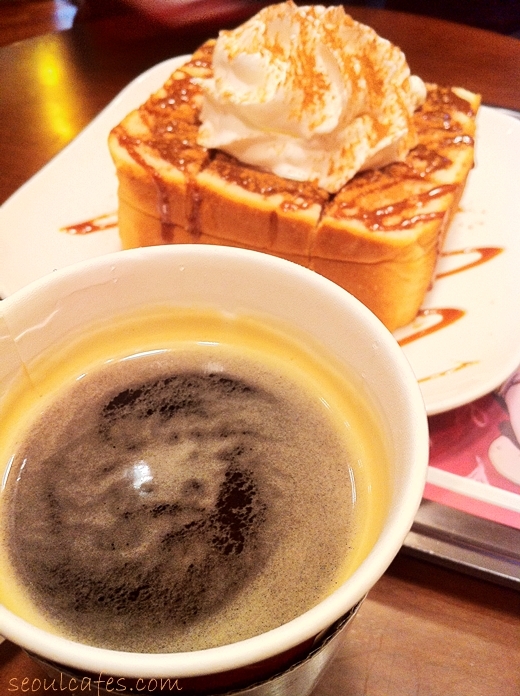 It could use more syrup and whipped cream, but the bread itself was tasty and soft. But I didn't complain about the "blah" coffee - I have to be thankful for what I get - and it's the holidays after all.